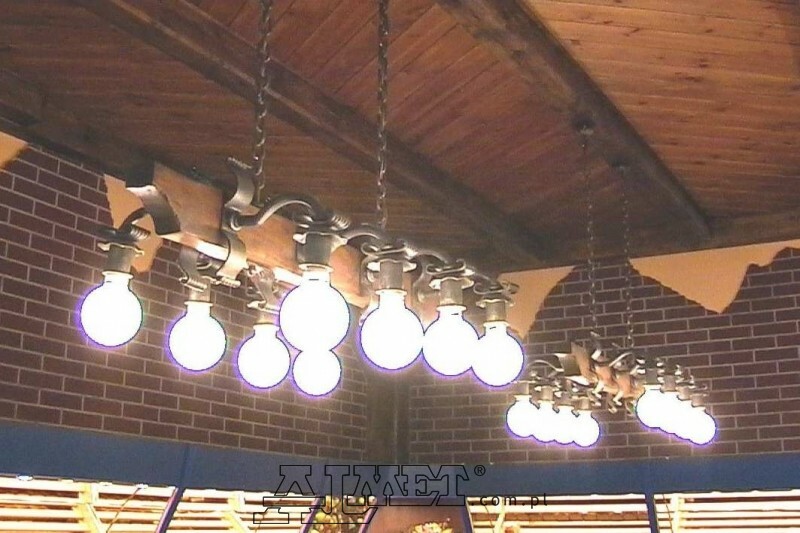 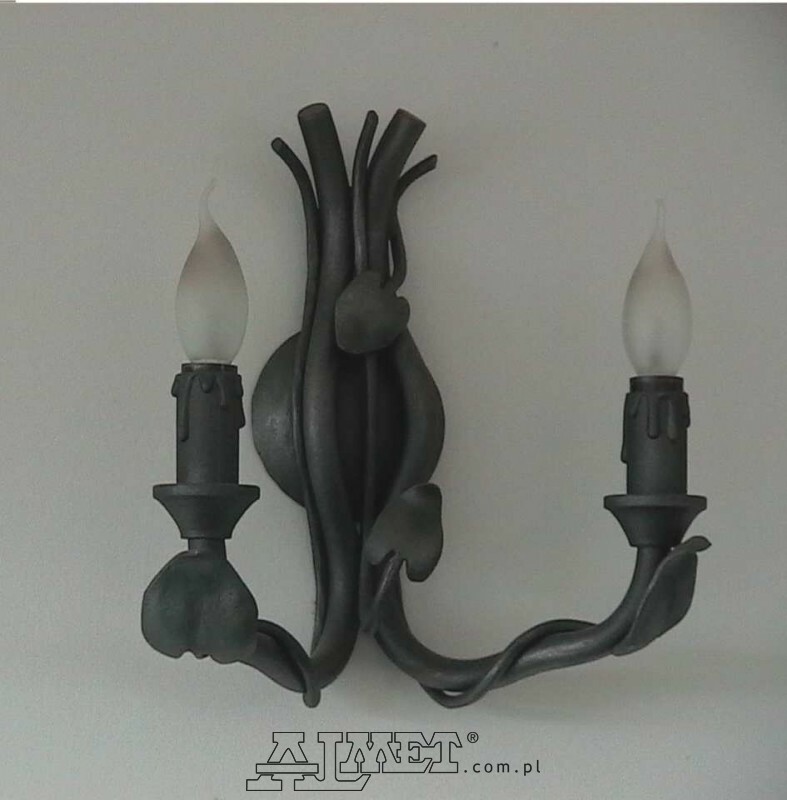 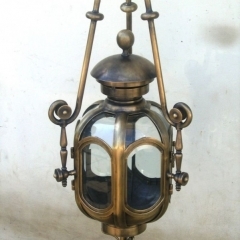 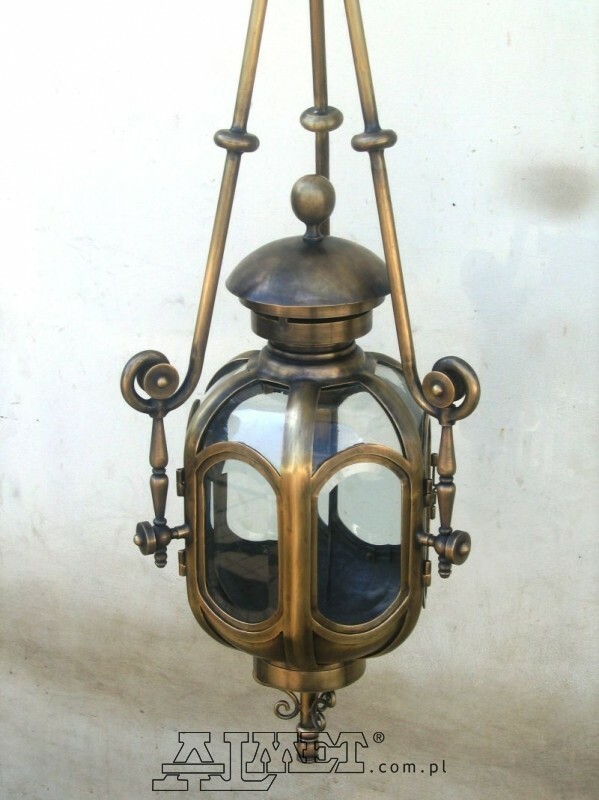 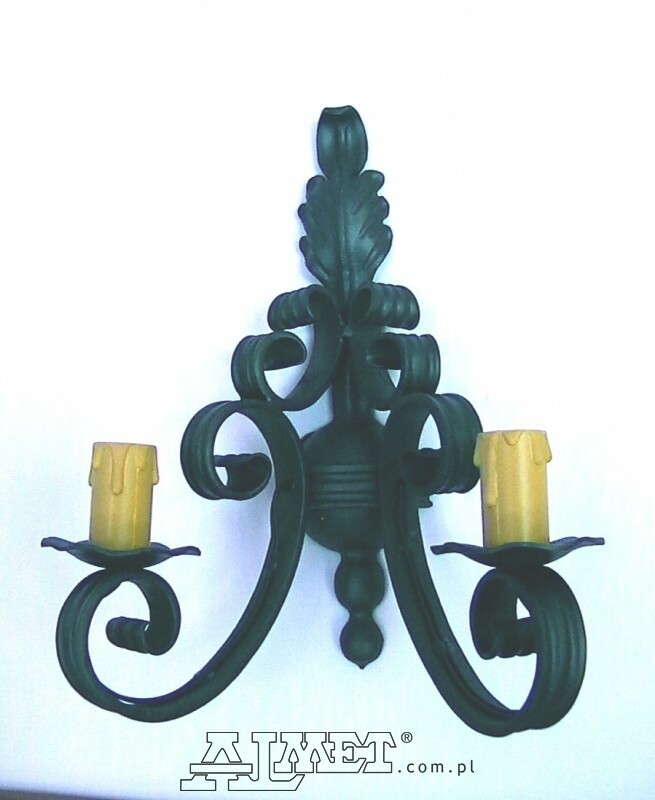 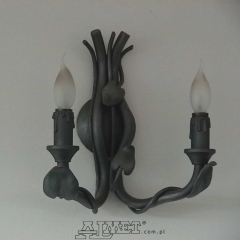 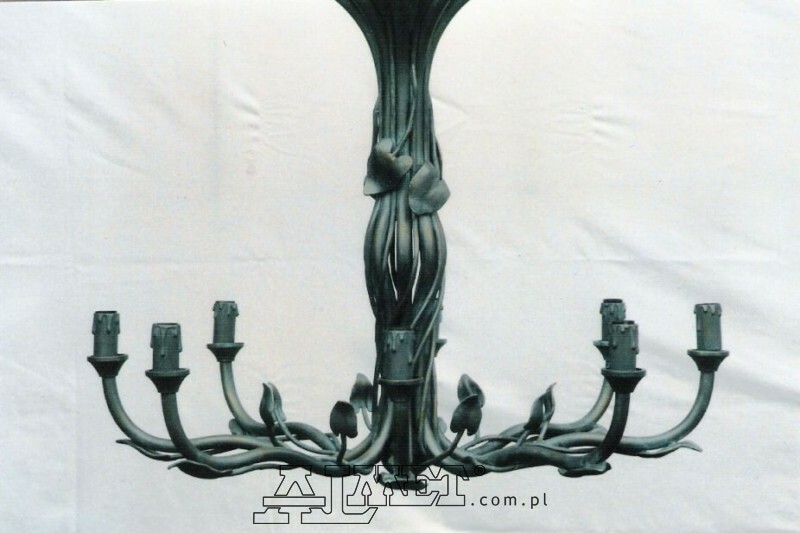 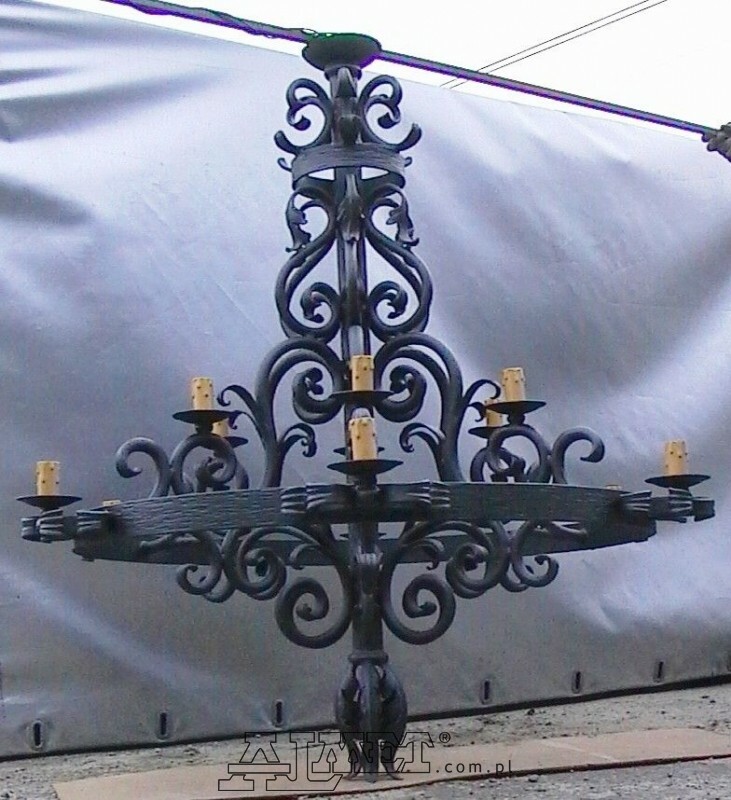 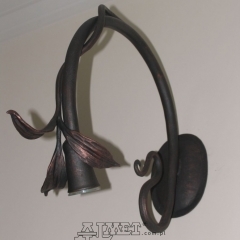 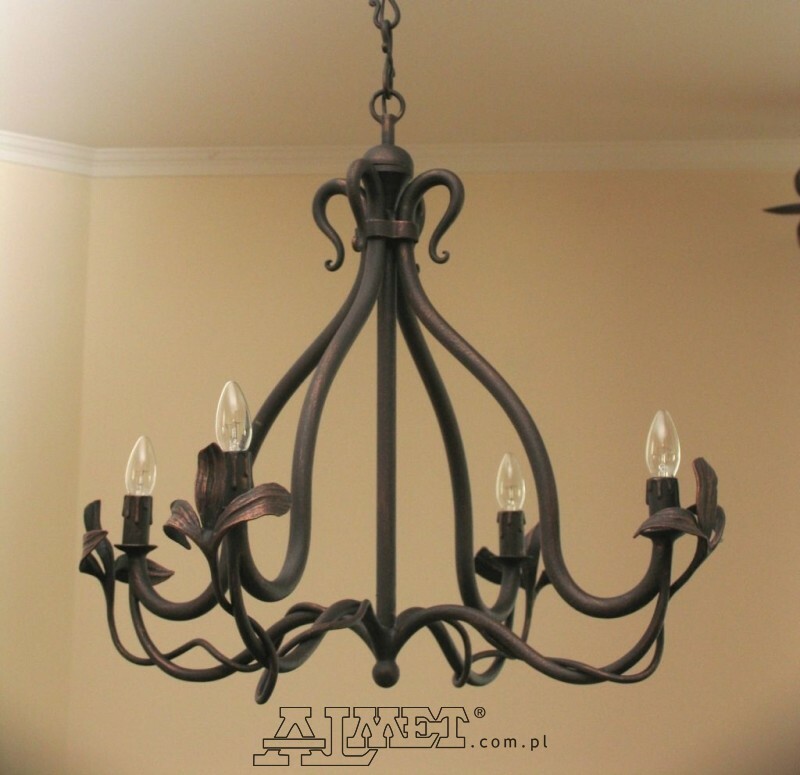 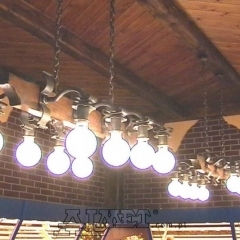 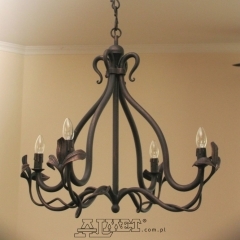 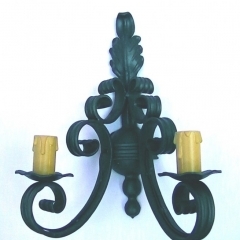 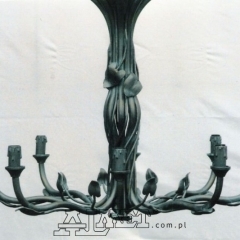 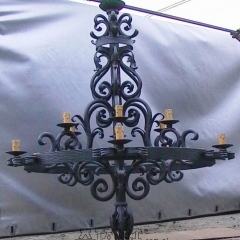 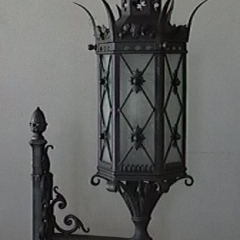 Almet also manufactures lighting ─ forged lanterns and chandeliers for interiors. 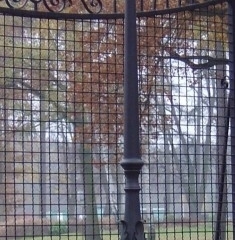 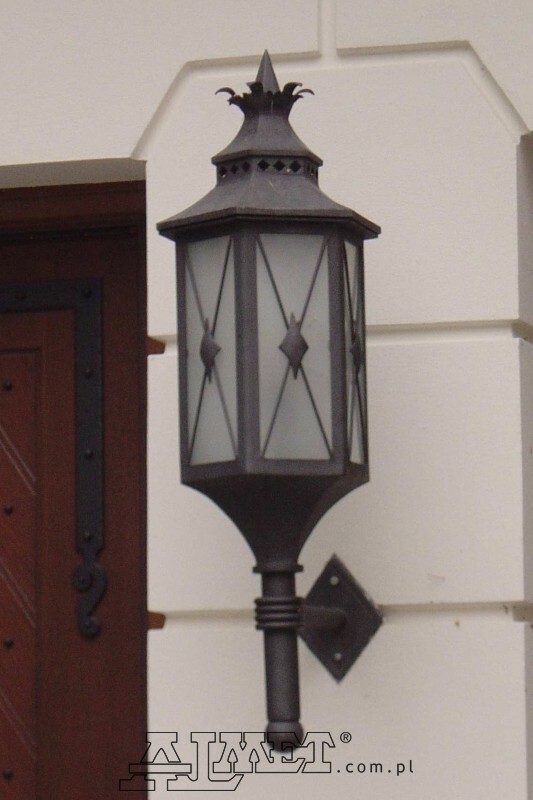 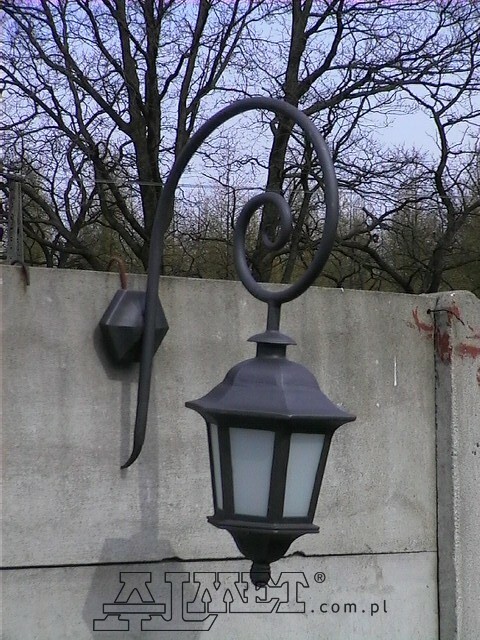 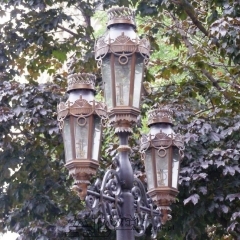 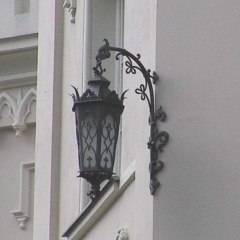 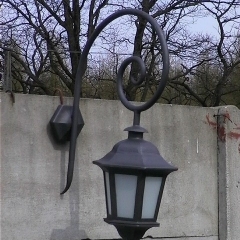 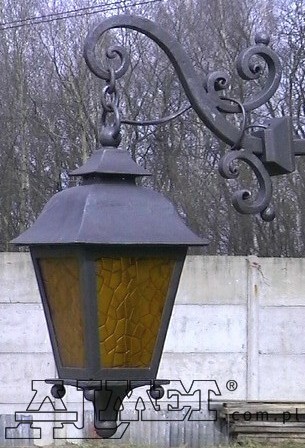 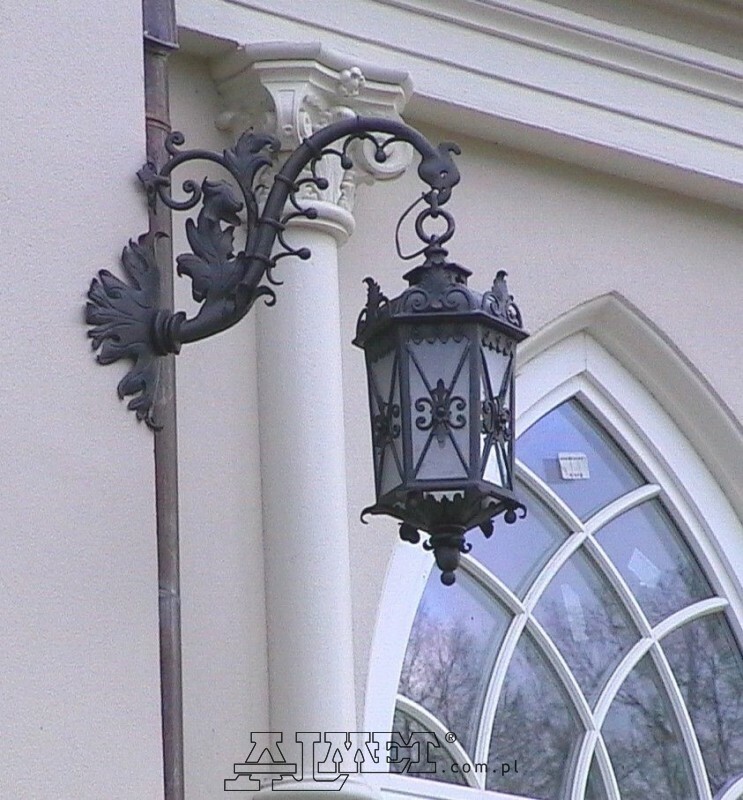 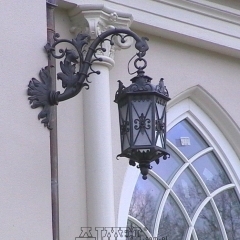 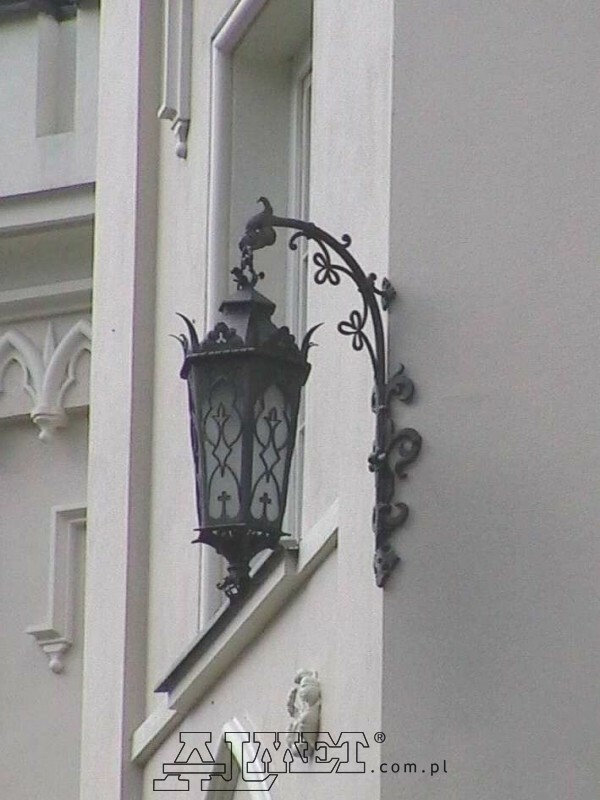 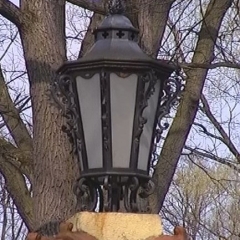 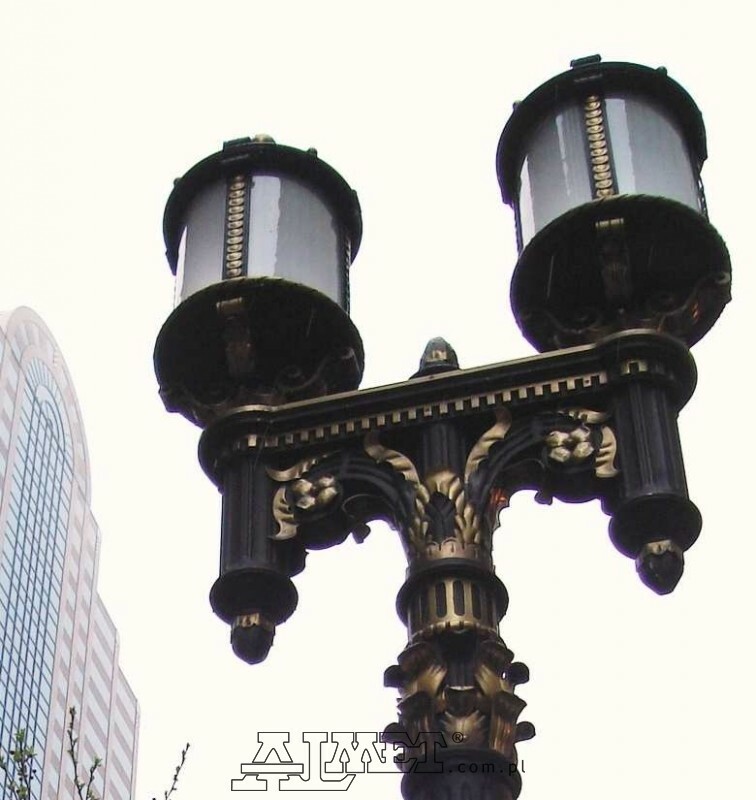 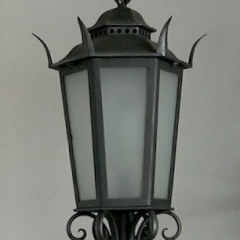 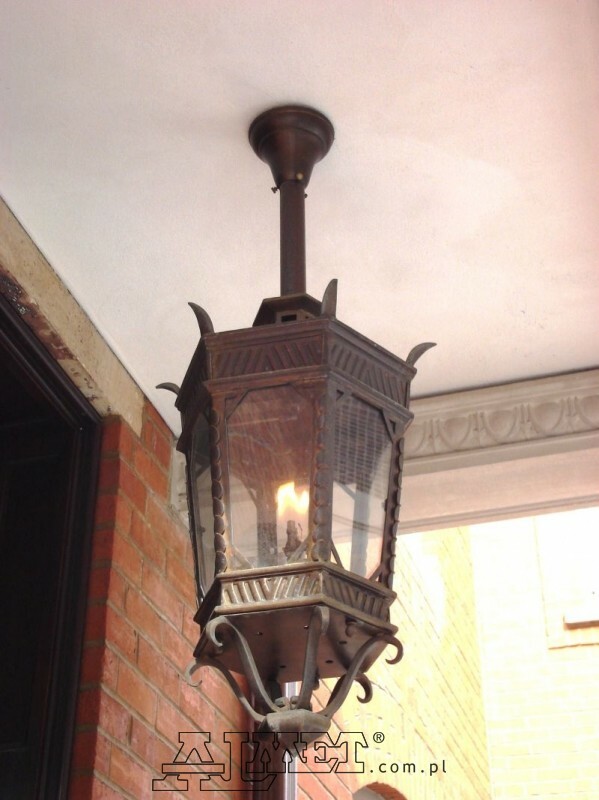 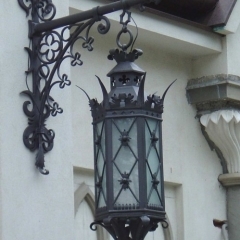 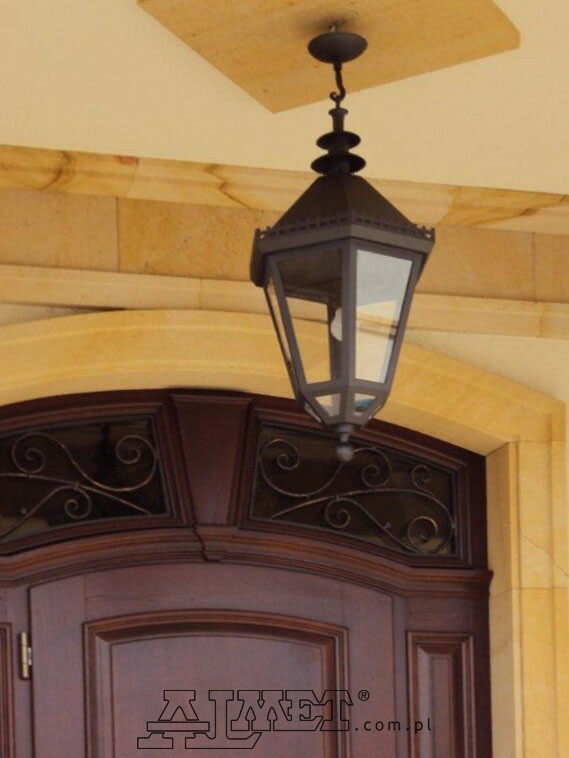 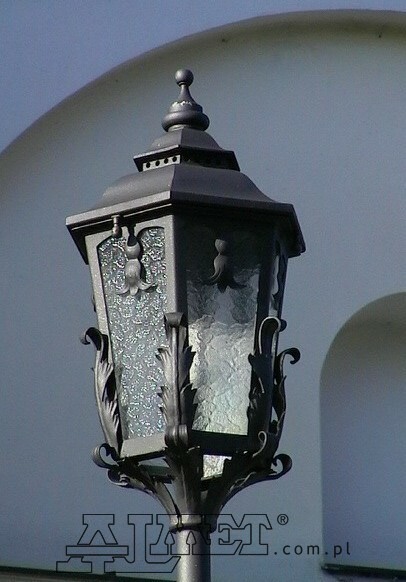 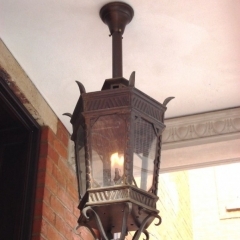 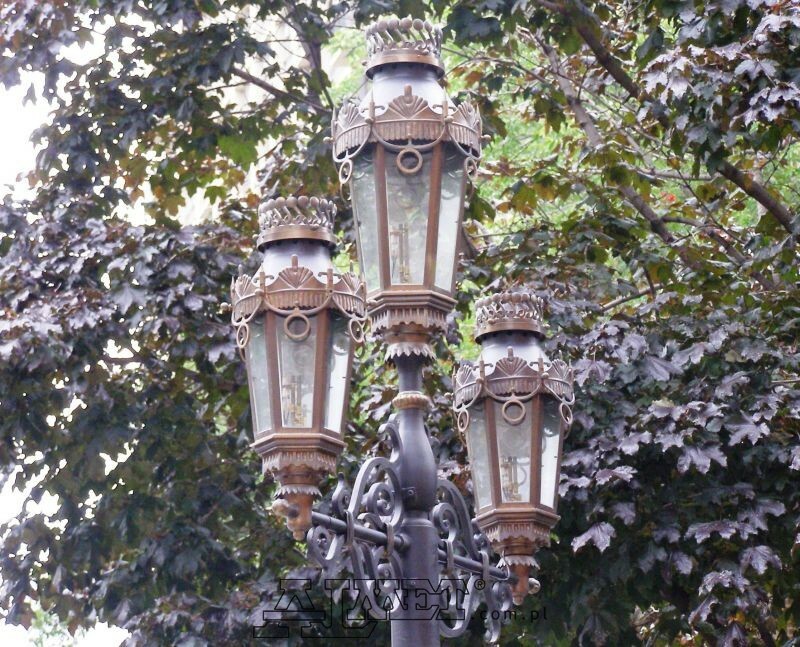 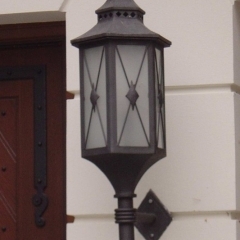 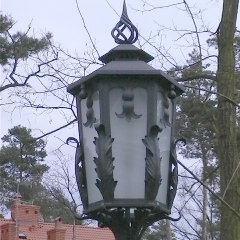 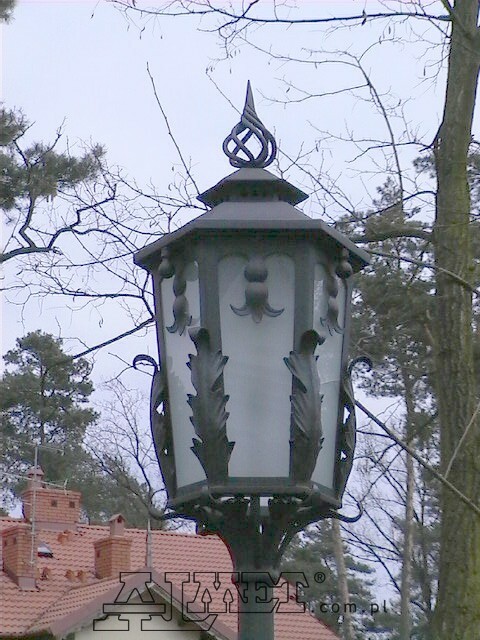 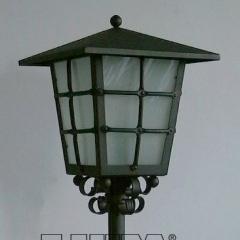 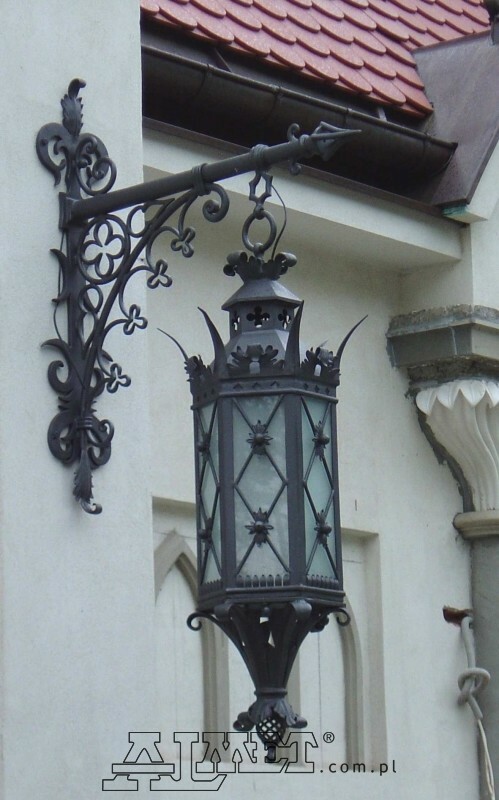 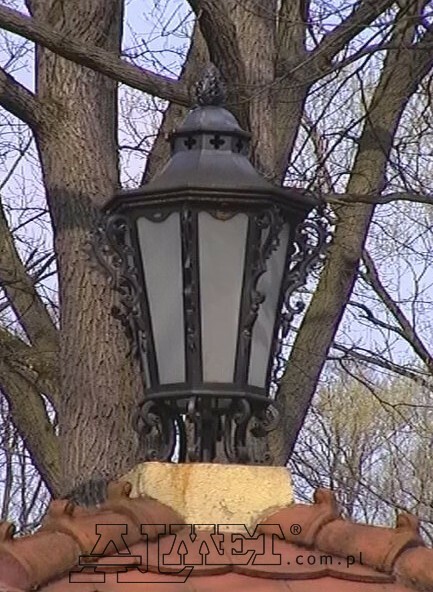 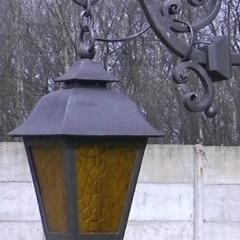 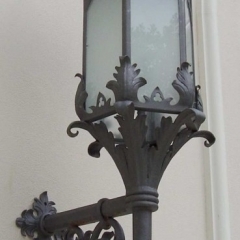 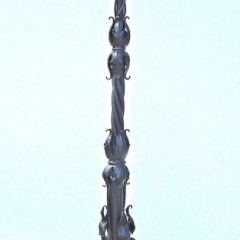 We also produce large street and garden lamp posts, both electrical and gas. 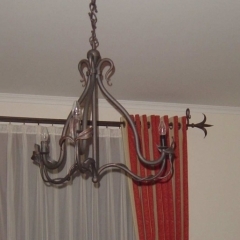 Any type of glass can be used in our products. 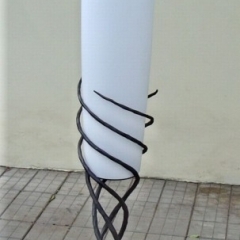 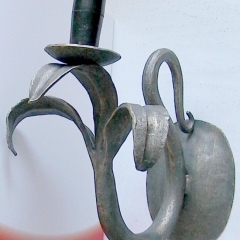 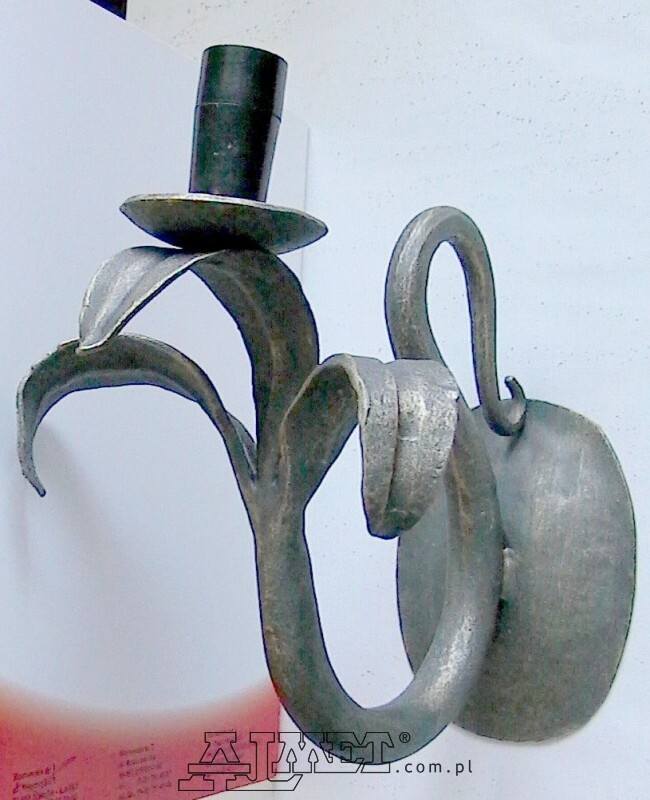 It can be specially shaped to fulfil the customer’s wishes. 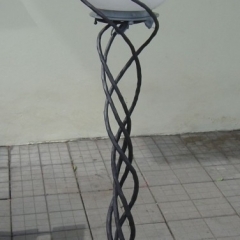 We can undertake any project, even the most complicated. 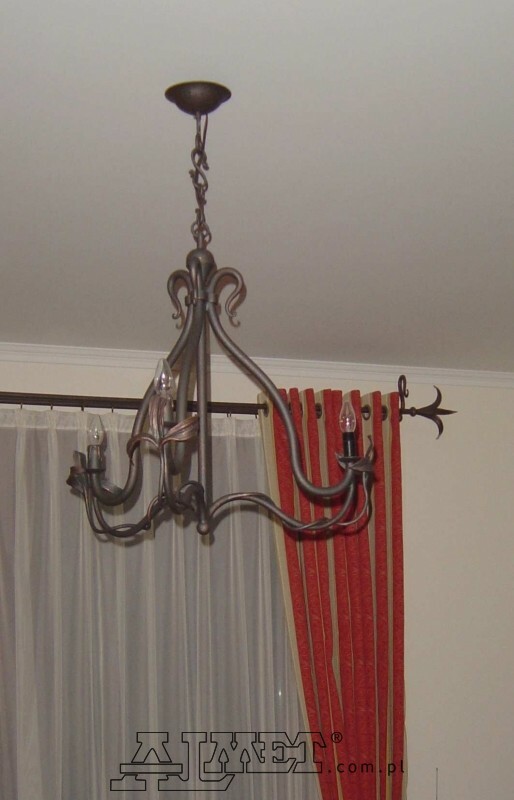 Our experience allows us to combine various materials with artistic flair. 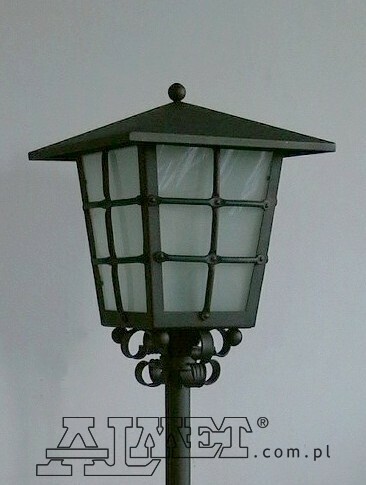 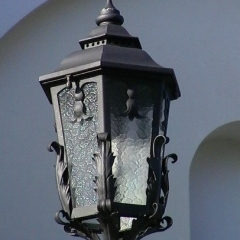 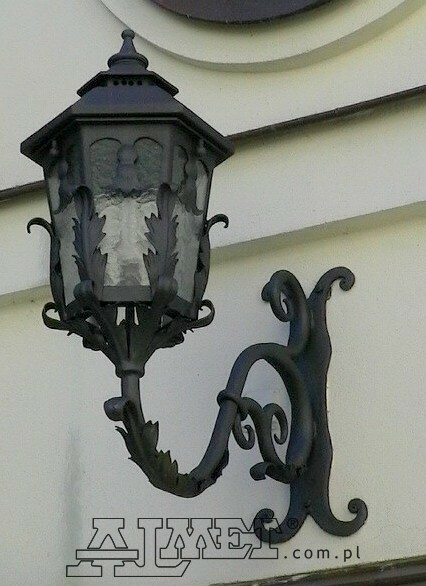 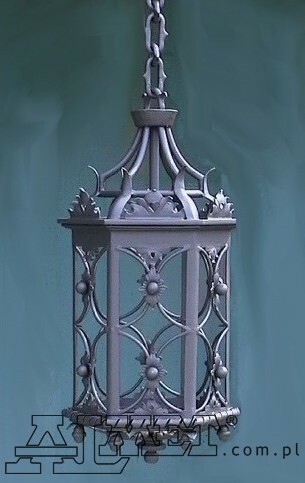 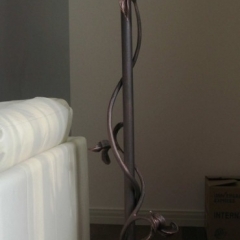 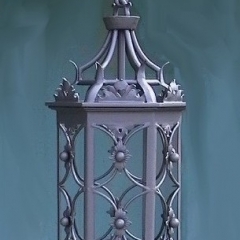 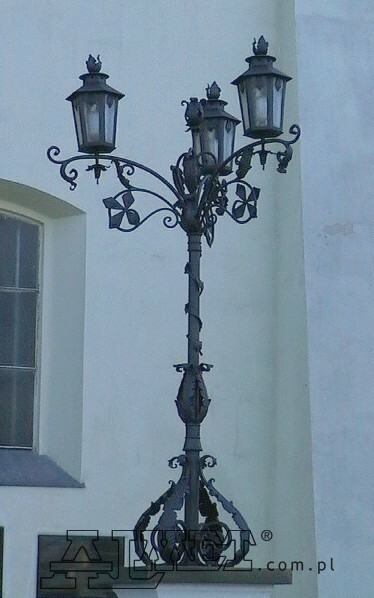 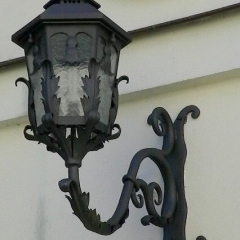 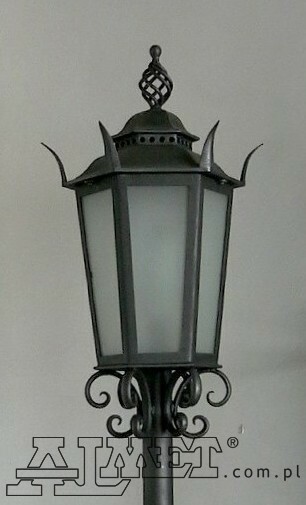 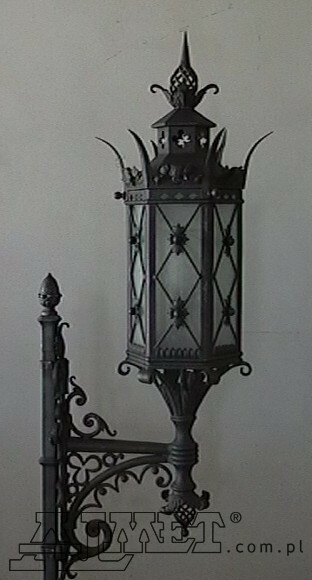 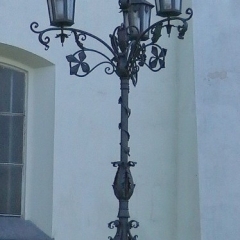 Stylish lamps and garden lamp posts act as decorations for interiors, porches, terraces and gardens. 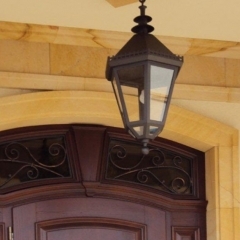 Our offer is tailored to the needs of the customer.